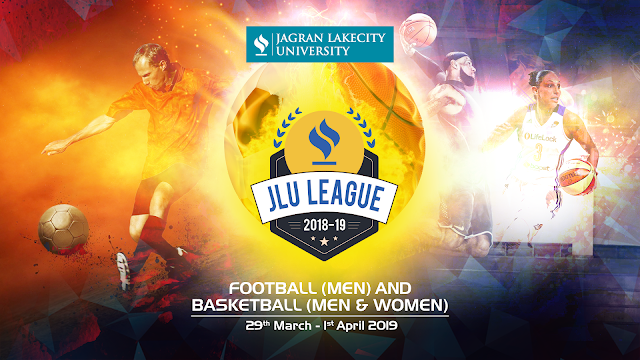 To test the survival of the fittest Jagran Lakecity University hosted JLU League 2019 from 29th March to 1st April 2019. 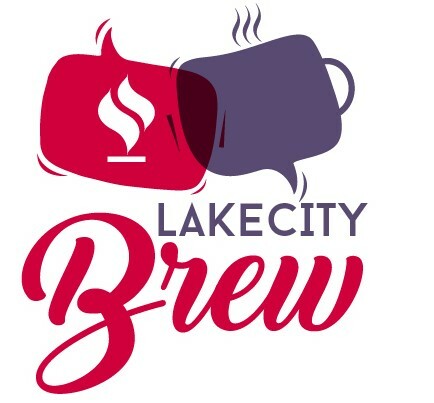 The combat witnessed the herculean effort from all the renowned institutions like BSSS Bhopal, Nutan College, LNCT, SISTEC, Oriental College, RGPV Bhopal, IEHE(Excellence College,) MANIT, People's University, AISECT University, JLU Bhopal, VIT Bhopal, SVVV Indore , Rabindranath Tagore University, SAGE Indore and IHM Bhopal participating across Madhya Pradesh in the spirit of sports. Mr. Pawan Jain, IPS, ADG, Planning (M.P) was honoured as the chief guest for the Opening Ceremony where his words of power boosted the players with zeal and vigour. The inauguration saw the presence of (Prof.) Dr. Anoop Swarup Vice – Chancellor JLU , (Prof.) R. Nesamoorty , Registrar JLU, Dr. Yogendra Shrivastava, DSW, JLU , (Prof.) Dr. Vivek Khare, Dean, JLU and Dr. Harshvardhan Dave, Organizing Secretary , JLU and other dignitaries. The closing ceremony was graced by Mr. Vivek Tatwadi, International Badminton Player, (M.P) who motivated the players to achieve their goals and make the nation #proud. In Football; JLU emerged victorious in the form (1-0) held between JLU and IEHE, making IEHE Bhopal the Runner Ups, and The Bhopal School Of Social Sciences - BSSS the 2nd runner up. 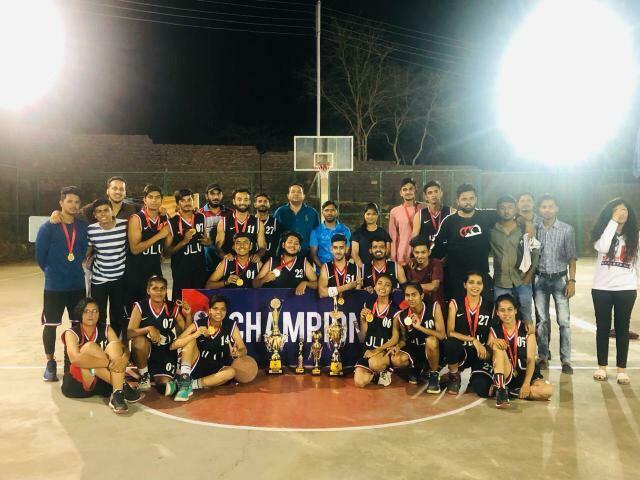 In Basket Ball (Men); JLU stood victorious in the form (52-40) securing the first position, making BSSS the runner up and SATI, Vidisha the 2nd runner up. In Basket Ball (Women); JLU won against BSSS in the form (35-22) and Nutan college secured the position of 2nd runner up. ● Final Football Match JLU Bhopal beat IEHE, Bhopal by 1-0 Goals. ● Final Basketball (Men) Match JLU Bhopal beat BSSS , Bhopal by 52-40 Points. ● Final Basketball (Women) Match JLU Bhopal beat BSSS, Bhopal by 35-22 Points.